We can see why Lloyd would sing She's All I Want For Christmas judging by the cover artwork for his single. After all, the babe on the cover has a nice smile and a nice choice in clothing (or lack thereof). We occasionally get charged, here at AllBum.Art with the accusation that the material for our remixes focuses too heavily on the use of young, attractive babes and ignores the more mature variety. The remix of this song attempts to respond to some of those accusations by showing another babe that might be all that's needed for Christmas, being, as she is, an older babe wearing naught but stockings and heels. A Christmas stocking-filler, so to say. Red-breast! It is a little known fact, but in the Netherlands, Christmas begins on December 5th, as Santa rides through the streets with his politically incorrect slave helper Black Pete, handing out sweets to the kids. The upshot of this is that the time is now right to start a few re-mix-mas-es and we begin with Funky Christmas by James Brown. 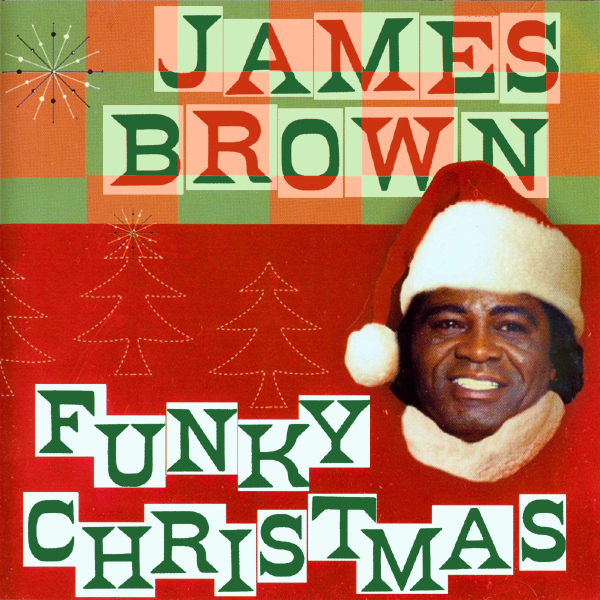 The original cover shows Mr Brown in an Xmas hat. The remixmas shows a pretty ebony babe enjoying a funky Xmas of her own, sitting in front of a warm fire, by the Xmas tree and little else to spoil the view. Kerstmis (as the Dutch say)! Oh dear, what a missed opportunity. 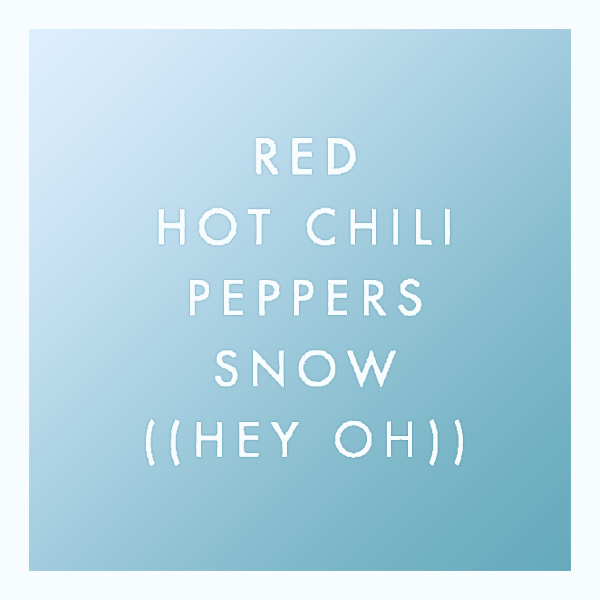 The Red Hot Chili Peppers should have known better when they produced the cover for their 2006 album Snow (Hey Oh). So many opportunities for pictures of snow scenes or similarly chilly vistas. Thank goodness then for AllBum.Art for correcting this anomaly and replacing their ersatz cover artwork for something that is snowy, but remains red hot. Pepper! Another remix for those British electro-pop duo, Eurythmics. 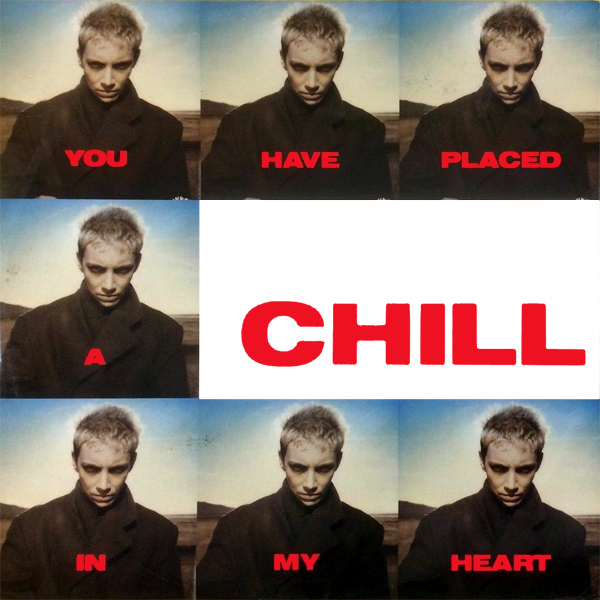 On the cover of their single You Have Placed A Chill In My Heart, we find the band's lead singer looking very forlorn, but not that chilly, though the bleakness of the landscape in the background gives no clues as to the air temperature. On the remix we see an altogether happier looking babe, who is definitely chilly and we can see she is getting a chill on her heart because she has covered it in snow. Flake! 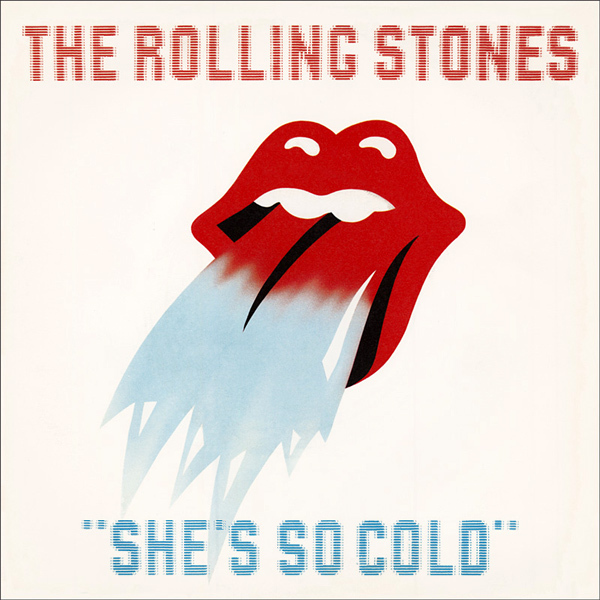 A minor hit from the early 80s for the Rolling Stones and their song Ring Of Ice. On the original cover for the single, we find the red lipped logo of the band, spewing forth something that is then apparently freezing. But this tells us not, who 'she' is, and why she is 'cold'. The remix solves both these problems as we see that 'she' is a naked babe and the reason she is 'cold' is that she is sitting on the snow on a forest footpath. Ouch! December is upon us and whilst it's not time to roll out the Christmas Crackers just yet, it is time for the thermometer to drop and to start doing remixes of cold and chilly songs. 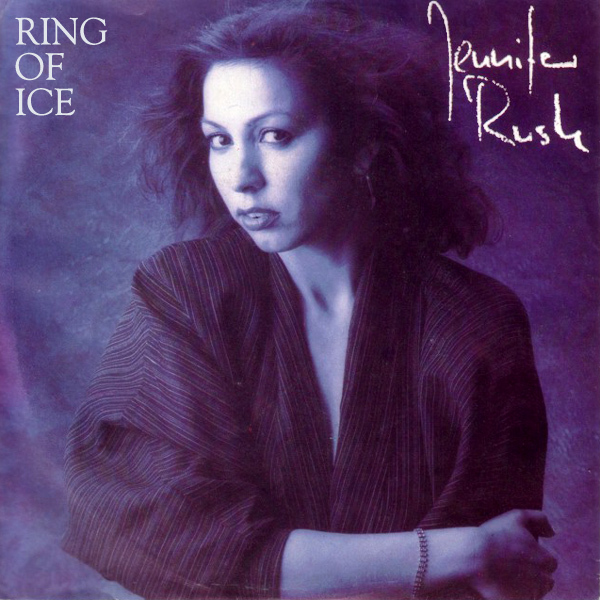 Today it is the turn of Jennifer Rush and her song Ring Of Ice. In the original artwork we find Ms Rush looking vaguely cold by the fact that she is somewhat blue in color. On the remix we see a babe outside in the freezing cold, making a phone call... truly a 'ring of ice'. Handy! Go on, go on, Dare Me. 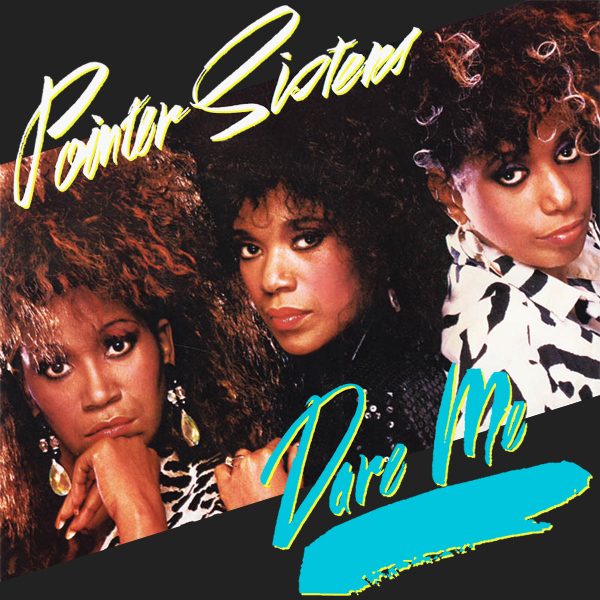 Is that what the Pointer Sisters were trying to say on the original front cover artwork for their single? Maybe it is, but what they were being dared to do is not clear, other than perhaps look a little scary. On the remix we find a babe who has clearly been dared, on this occasion to flash her bosoms whilst standing in front of some kind of artificial waterfall. How daring of her. Gambler! 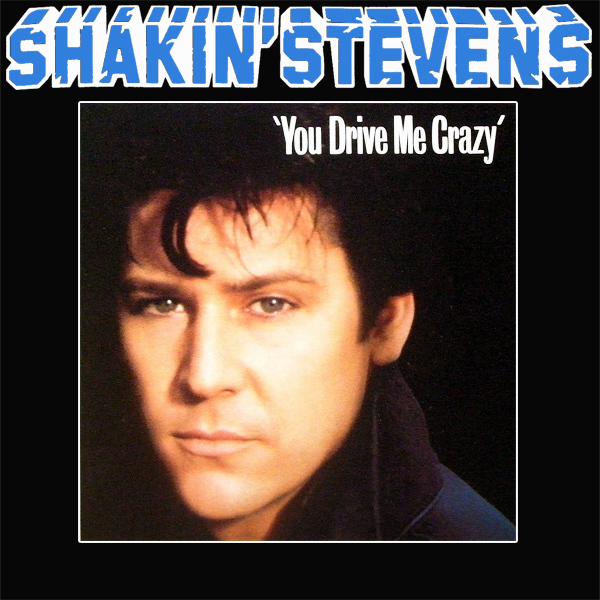 Just what or who is Shakin' Stevens looking at on the original single front cover artwork of You Drive Me Crazy? Something must be bringing him mayhem, but other than a slight squint to his look, we don't know what it can be. On the remix we find what it might have been: a babe, driving his car, in nothing but her g-string. That would be enough to drive him crazy in more way than one. Freeway! 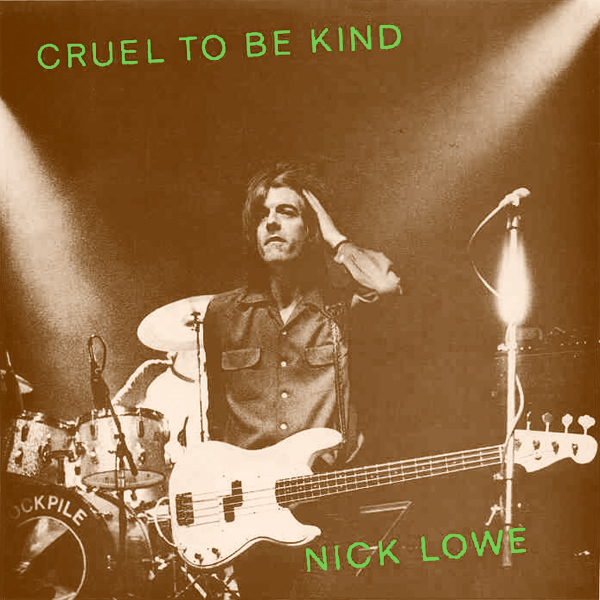 You've got to be Cruel To Be Kind, according to Nick Lowe. So here we go, being kind about the original single front cover artwork: Other than showing Mr Lowe holding his head in pain, there's nothing cruel or kind about it. It stinks! On the remix we find a babe who has been shackled to a metal fence and left out in the elements. That's very kind of someone to be so cruel don't you think? Tautology.